With the assistance of our diligent team of professionals, we are offering a wide range of One Stage Gas Burners FS Series, which is procured from authentic vendors. These are available in three different models, which are approved by European Directives for EMC, low voltage, machinery and boiler efficiency. 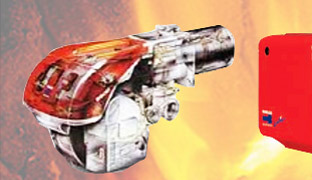 We hold expertise in offering a comprehensive range of Low Knox One & Tow Stage Gas Burners: Gulliver BS & BSD Series as per the clients specific requirements. These are available in various models like BS 1, BS 2, BS 1 D, BS 2 D and others, which is based on low non combustion technology. 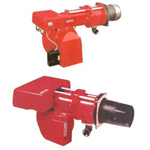 Our organization offers a wide range of One & Two Stage Gas Burners: Gas Series/Gas 2 Series, which is suitable for both small and medium industrial application. These are procured from renowned manufacturers, which ensure that our range is developed as per set industry standards and equipped with microprocessor based flame control panel with diagnostic function. 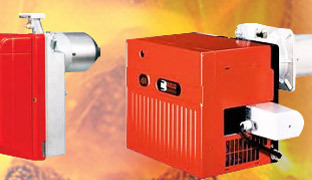 The extensive range of Two stage Gas Burners: RS Series offered by us is known for reliable and sturdy construction, which ensures reduced dimensions for simple use and maintenance. With the rich industry experience in the respective domain, we are offering our clients an extensive range of Modulating Gas Burners: RS/M Series. 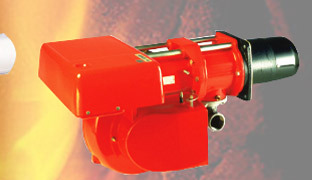 These are available in different models, which find wide application in superheated water boilers, hot air or steam generators and thermic fluid heaters.